According to the European Commission Sustainability stands for meeting the needs of present generations without jeopardizing the ability of futures generations to meet their own needs – in other words, a better quality of life for everyone, now and for the generations to come. Brought on a corporate level, Dow Jones Sustainability Indices specify the corporate sustainability as a business approach that creates long-term shareholders’ value by embracing opportunities and managing risks deriving from economic, environmental and social developments. 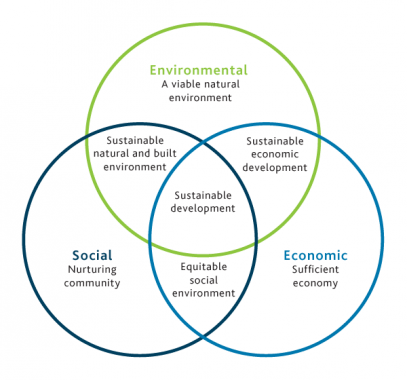 Embracing these postulates, AES defines Sustainability as “Delivering results that exceed our stakeholders’ expectations today, while providing innovative resource management and infrastructure solutions to ensure we will meet stakeholders’ needs in the future”. Every day AES improves the lives of more than 100 million people worldwide by delivering safe, reliable and sustainable energy in every market we serve. We place the highest priority on safety in the work place and in the communities in which we operate. AES people are committed to the highest standards of integrity in serving all of our stakeholders. Our businesses continually strive to improve operations, leveraging our size and buying power to secure the best prices and resources to meet our customers’ needs. We seek to meet or exceed environmental standards set by all relevant European and world institutions. AES is committed to making a positive contribution to society, beginning in the workplace and the communities, in which we operate. Our Business Model: We leverage our electricity assets, experience and knowledge to provide efficient, reliable and infrastructure solutions in the markets we serve. Our Footprint: We are focused on delivering competitive services and products with care for people, communities and environment. Our People: AES people work in teams, adhere to processes, apply discipline and clarity, aim for business agility and accountability, and focus on our customers.